Ian Drury at the British newspaper the Daily Mail reports on the damage caused to British security by American spy and traitor Edward Snowden. US traitor Edward Snowden has undermined British security by making it much harder for UK spies to fight terrorists, a report warns today. Intelligence chiefs are increasingly concerned that they are struggling to track extremists, including those from Islamic State, after the fugitive leaked files stolen from GCHQ and the US National Security Agency. Fanatics and organised crime gangs are using sophisticated new data encryption programmes to avoid detection after learning about spy agencies’ techniques, an independent surveillance review by the Royal United Services Institute (RUSI) think-tank concluded. Snowden’s disclosure of up to 1.7million classified files presented a ‘significant challenge’ to the authorities tasked with electronically tracking targets who ‘pose a risk to collective security’, experts found. The Snowden case continues to fascinate me; however, I am concerned that a movement is afoot within the government to repatriate and valorize Snowden, making him the hero of the Obama era. 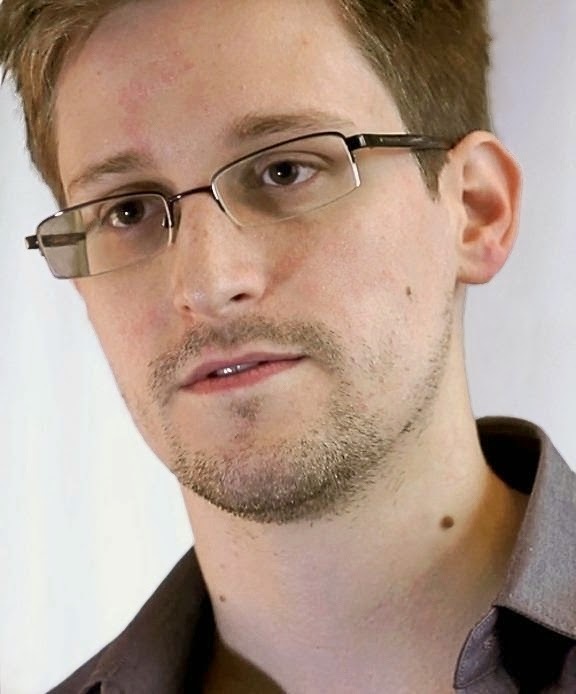 There are many people inside govt and out who would dearly love to make Snowden a hero. I consider him a traitor, a spy and a fraud. Snowden claims he wants transparency in government, so he travels to China & Russia - two of the most dicatorial nations on earth, as well as adversaries of the U.S. - and gives them our secrets. As an old Navy and DoD security guy, I think he should be shot. (Is SEAL Team 6 busy this week? Ha). I vote for a covert mission to Russia. If I were up to the physical demands of the mission, I'd volunteer. BTW, Paul, on a somewhat related issue, I'm soliciting WW2 reading suggestions at Beyond Eastrod.